As the rapid development of streaming media, the way we watch movies has a fundamental change. Most people more enjoy the digital lifestyle and view kinds of videos and movies online, which is only single clicks away. It's hard to say whether DVD disc will be completely replaced by digital ones someday, yet it’s time to capture video from DVD to back up movies to your computer or external mobile hard disk before the DVDs become obsolete as earlier happened to your VHS tapes. 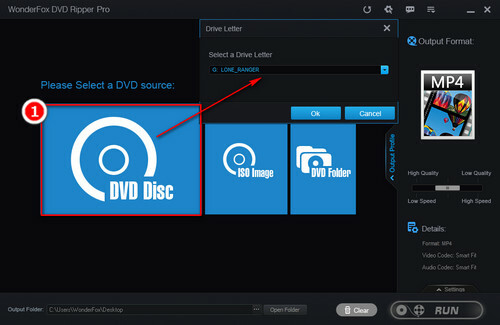 The following guide shows you the detailed steps to capture DVDs to computer to make them renewed. 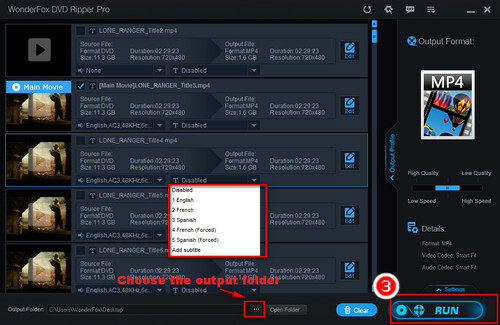 WonderFox DVD Ripper Pro enables to fast capture video from any DVD with zero quality loss. It can remove the latest DVD copy protections like DVD CSS, Region Code, Multi-angle and so forth, convert DVD to MP4, AVI, MKV, MPG and offers the optimized presets for kinds of mobile devices including the latest iPhone X, iPhone 8/8 Plus, Huawei P20/P20 Pro, etc. Some of you may think that to capture DVD videos, you only need to simply copy the contents from DVD disc and paste them into computer. Actually, almost all DVDs you purchased are copy protected, you have to face many obstacles such as region codes, Content Scramble System and other complex encryption techniques. And a qualified DVD capturing software can help you identify and bypass these DVD copy protections and compress and convert DVD disc to digital video files for easy playback and backup. WonderFox DVD Ripper Pro has great performance in DVD video capture. It’s fast, easy and functional. Next we will show you how to capture video from DVD in a few mouse clicks. WonderFox doesn’t encourage any illegal duplication and distribution. This guide is only personal legal use. Launch WonderFox DVD Ripper Pro. Click on “DVD Disc”, and then select the target DVD drive letter and press “Ok”. The software will automatically detect and analyze the DVD disc and select the main title. Tips. ISO image and DVD folder inputs are also supported. To capture video from DVD, click on “Output Format” button on the right to open the output format menu. 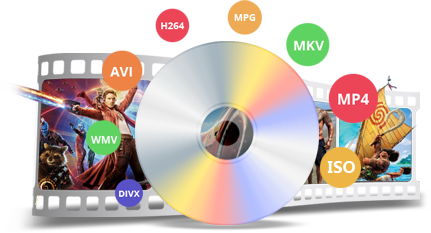 You can choose to convert DVD to MP4, DVD to AVI, DVD to MKV and other digital video formats; or convert DVD to a specific device model as the read-made presets for various devices including TV, tablet, mobile devices and game console are offered. Of Couse, you can easily backup your DVD collections by converting DVD to ISO and DVD to DVD folder with 1:1 flawless quality. Specify the output path via the three dots icon next to Open Folder. Finally, click on “Run” to start the process. WonderFox DVD Ripper Pro supports GPU acceleration and multi-core CPUs for fast process. Soon, you will get the captured video and can free play the video on your mobile devices. Tips. You can also add subtitles to DVD like forced subtitles under the T drop list of each title. As you can see, WonderFox DVD Ripper Pro is such a good software to capture video from DVD to computer. 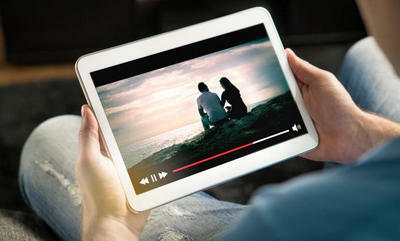 It’s lightning fast, straight-forward, and powerful, which enables to enjoy movies in no time! Please Free Download DVD Ripper Pro to Start the Task! With DVD Ripper Pro, you can easily capture DVD videos. Moreover, the functional tool can help you to make exact copy of DVD, such as DVD to ISO image/ DVD folder, and modify the output video parameters including resolution, bit rate, frame rate, etc. The software enables to download videos and playlist from YouTube, Facebook, Vimeo, Dailymotion and more other sites. 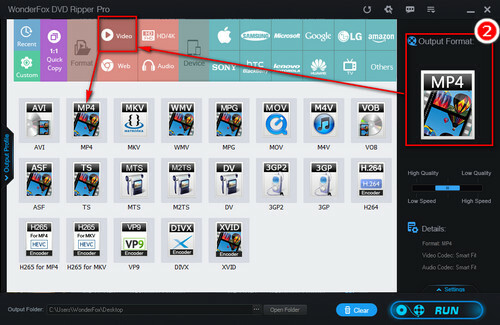 It also supports 300+ videos & audio formats and popular devices so you can convert any video to desired formats.